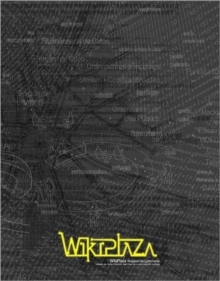 WikiPlaza presents a practical and theoretical research in the field of the participatory social construction of public space mediated by information and communication technologies. The work aims to condense the experiences of free software and hacker culture, and the social and independent media movements that emerged at the turn of the twenty-first century, in order to produce "ecosophic machines," that is, new technical, social and mental ecologies that offer an alternative to the dominant neoliberalism and promote and stimulate emancipation, autonomy and spaces of the commons. The subtitle Request For Comments is our small homage to the pioneers of the Internet, and points to the fact that the wikiplaza project is a work in progress, open to anybody who wants to question, use or change it, or to create new versions.